It bothers some dog enthusiasts when people incorrectly interchange “American Bully” and “Pitbull.” Although one of two breeds is a mixed breed of another, the American Bully and Pitbull are actually completely distinct breeds. This article will discuss the difference between the two canines. The American Bully, also known as “Bully Pit,” was originally bred by canine enthusiasts in the 1990s to create an ideal family dog. It is a crossbreed of the American Pit Bull Terrier and other dogs typically in the bully family. This dog has a strong and muscular build. Its head is large and its legs are short. It can weigh up to 120 pounds and can be as tall as 20 inches at the shoulders. Despite the intimidating appearance, the American Bully is affectionate, gentle, friendly, and loyal, making it an ideal family dog. It has a high pain tolerance as well. The Pitbull, also called “American Pit Bull Terrier breed” or “APBT,” is a mixture of the Old English Terrier and Old English Bulldog. Considering its genealogy, the Pitbull has the eagerness of the terrier and the strength of the bulldog. It was originally bred in the 1800s as a fighting dog so it is innately tenacious. However, if carefully trained, the Pitbull can be sociable and can make a great companion dog. This dog is a mid-sized dog with well-defined muscles. It can weigh up to 70 pounds and can be as tall as 20 inches at the shoulders. “Pitbull” is also used as a generic name that refers to any dog of the following breeds: American Pit Bull Terrier, Staffordshire Terrier, American Bully, and Staffordshire Bull Terrier. However, it is more commonly used as a simplified name for the American Pit Bull Terrier. What, then, is the difference between the American Bully and Pitbull? The American Bully was originally bred in the 1990s to be an ideal companion dog. It is a crossbreed between the American Pit Bull Terrier and other dogs in the bully family. On the other hand, the Pitbull was originally bred in the 1800s as a fighting dog. It is a mixture of the Old English Terrier and Old English Bulldog breeds. In terms of appearance, both dogs can be as tall as 20 inches at the shoulders. However, the American Bully has a distinctively muscular build. It can weigh up to 120 pounds. The Pitbull can weigh up to 70 pounds. The pitbull has well-defined muscles but is not as muscular as the American Bully. Both dogs are friendly. The American Bully is perfect around children. It is tolerant, affectionate and loving. 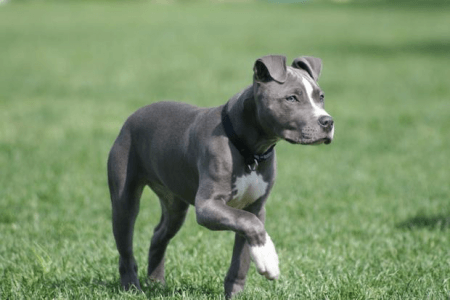 The Pitbull can be as tolerant and sociable as the American Bully, but, it does have to be carefully trained as it has a certain level of tenacity. 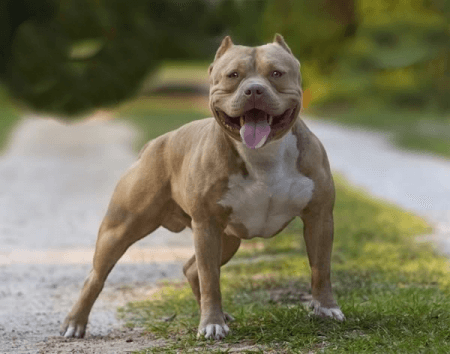 The American Bull is also known as “Bully Pit” in some areas, whereas the term “Pitbull” is loosely used as a generic term for dogs that belong to the bully family. However, it is more commonly used as a simplified name for the American Pit Bull Terrier.